Alan Dershowitz has said he’s been shunned by old friends on Martha’s Vineyard over his defense of President Trump’s civil liberties—and now he says CNN has “banned” him for not having a “one-sided presentation” of special counsel Robert Mueller’s investigation on Russian interference in the 2016 election. 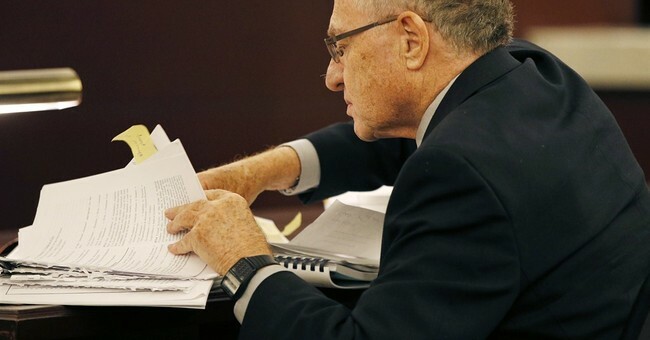 Speaking about the summary of Mueller’s report presented by Attorney General William Barr, Dershowitz said it proved he’s been right all along. Mueller found no evidence of collusion by President Trump or his campaign, Barr wrote in the four-page summary. "After a long look, after a long investigation, after so many people have been so badly hurt, after not looking at the other side, a lot of bad things happened, a lot of horrible things happened, for our country, it was just announced there was no collusion with Russia. The most ridiculous thing I've ever heard. There was no collusion with Russia," Trump told reporters on Sunday. "There was no obstruction, none whatsoever. And it was a complete and total exoneration. It's a shame that our country had to go through this. To be honest, it's a shame that your president has had to go through this. Before I even got elected it began. It began illegally and hopefully somebody's going to look at the other side. This was an illegal take down that failed."